**For Monster Instagram Threads (more than 100 joiners per day), my daily rate is $2.50 per thread. I love how you promoted yourself. I love how you laid out your presentation of what you will do, your costs and your limitations. Well done. This is timely. I think I'm going to be contacting you one of these days when I go on a trip. It looks like you offer some great services. Having a Virtual Assistance can make this a lot easier. Thank you for sharing. Great to know if I need one, I will keep it in mind. Will keep you in mind. It would be nice to take a break now and then. That's awesome that you're offering this service now. 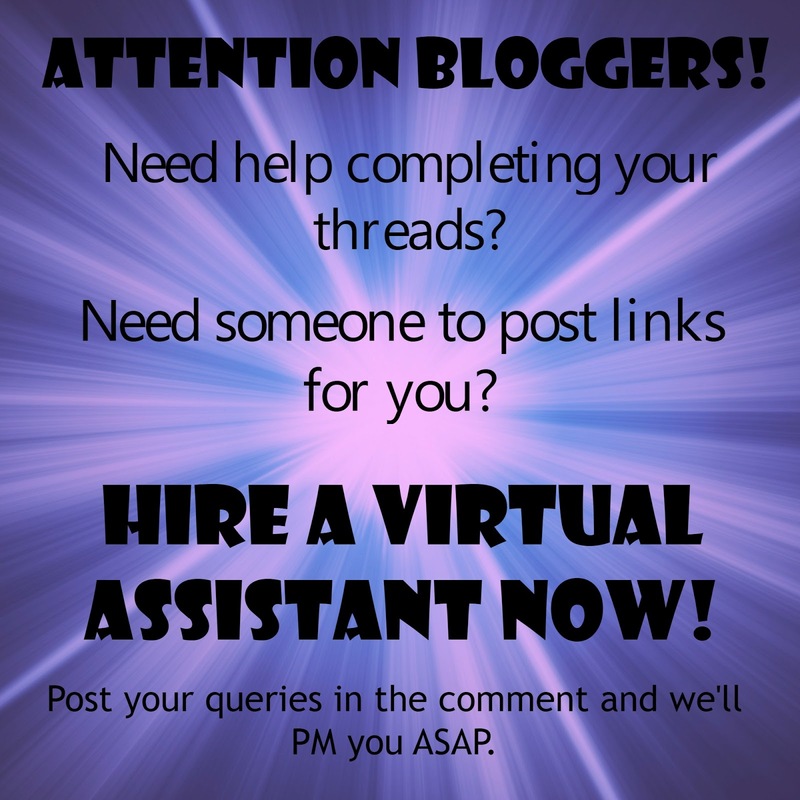 A virtual assistant is pretty much a necessity these days! A neat service to offer! I just realized that some bloggers hire someone else to do their comments/threads for them. I can imagine it would be a super-helpful service. I had no idea this service existed! Will need your help soon! Thanks! Awesome business you are in! Your day must be so busy! You are in a lot of great groups too! Thanks for sharing this. It's good to know you're in a lot of groups. Thank you for sharing this Basic Lesson for VA. These lessons will help VAs enhance their skills. This can even be considered Virtual Assistant Lesson for Dummies. 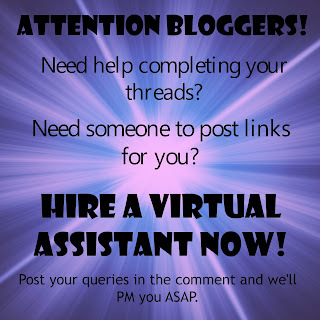 Looking forward for more tips. . You can work at home, but you need a decent laptop or a desktop computer, hire virtual assistant does not need to have high end specs, and of course a decent and stable internet connection.